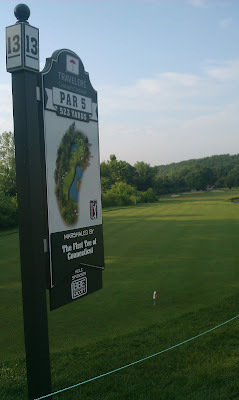 tomorrow begins the actual, professional tournament, so that means today was the pro-am. sports fans, look at this field - chris berman, bill murray, doug flutie, ahmad rashad! my organization marshaled (aka held up quiet signs and found golf balls for players) on the longest hole on the course. 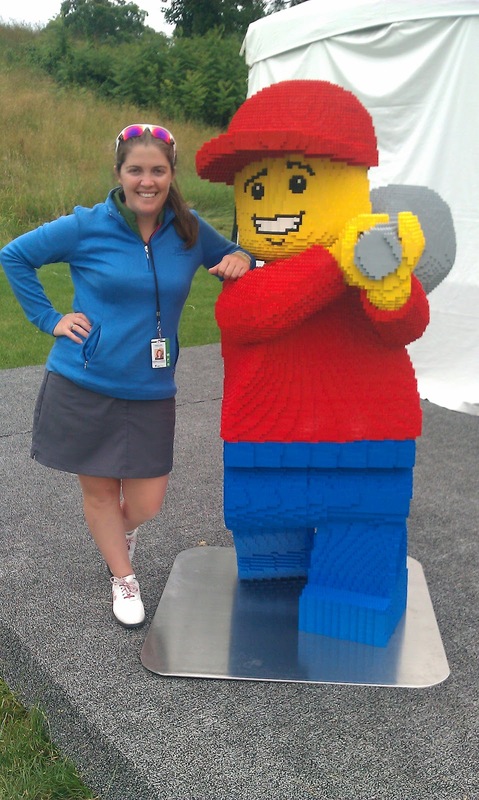 it was really fun, but a really long day. 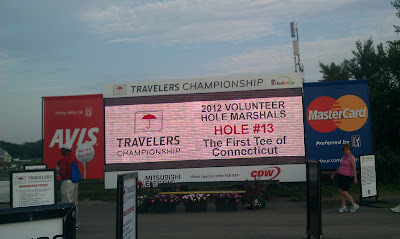 we had volunteers for two shifts: 6:00 am - 12:30 pm and 12:30 pm - 6:00 pm, but i was there all day as hole captain. 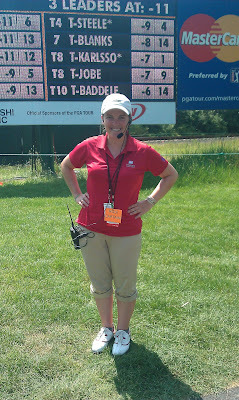 oh, and did i mention there was record heat? 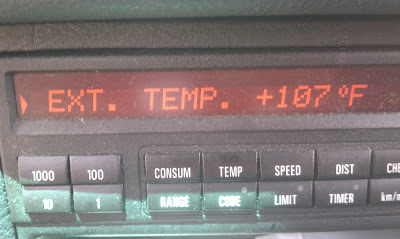 by 8:00 it was 80 and by 1:00 it was 100. crazy. a few people even had to be carted off the course for heat stroke - scary! photo i forgot to post last night - how cool is this lego man? 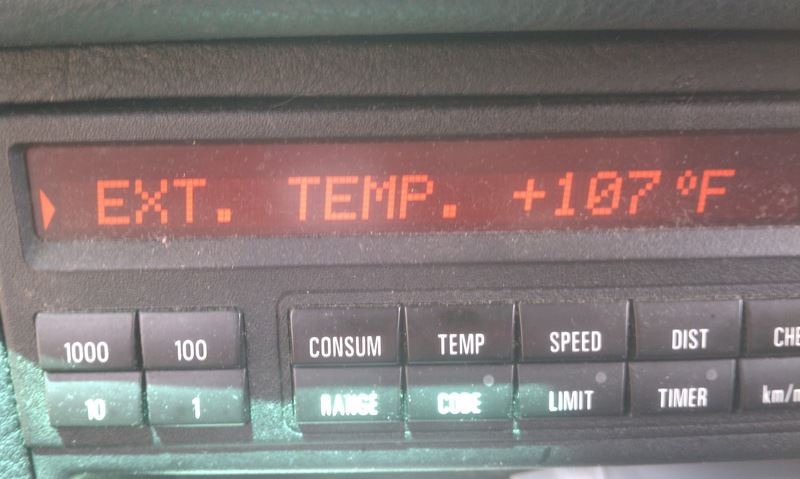 inside mike's car when he finished his shift. wow. afterwards, we went to the mall to get mike some sweet new oakleys! 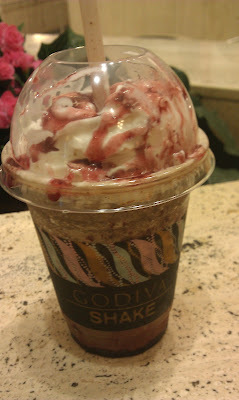 and i got an AMAZING godiva dark chocolate raspberry shake. you need to try one of these!